PALO ALTO, Calif. & SANTA CLARA, Calif.--(BUSINESS WIRE)--Cloudera, Inc. (NYSE:CLDR) and Hortonworks, Inc. (Nasdaq:HDP) jointly announced today that they have entered into a definitive agreement under which the companies will combine in an all-stock merger of equals. The transaction, which has been unanimously approved by the Boards of Directors of both companies, will create the world’s leading next generation data platform provider, spanning multi-cloud, on-premises and the Edge. The combination establishes the industry standard for hybrid cloud data management, accelerating customer adoption, community development and partner engagement. This press release contains forward-looking statements within the meaning of the federal securities law that are subject to various risks and uncertainties that could cause our actual results to differ materially from those expressed or implied in such statements. Words such as “anticipate,” “expect,” “project,” “intend,” “believe,” and words and terms of similar substance used in connection with any discussion of future plans, actions or events identify forward-looking statements. Such forward looking statements include the belief that the combination will create the standard for modern data management and accelerate customer adoption, ecosystem development and partner engagement; the belief that the combination will create a comprehensive solution-set for our large enterprise customers who want to perform traditional data analytics as well as machine learning and AI, from one platform on shared data in a secure, governed and compliant manner; the anticipated benefits described under the heading “Transaction Highlights”; the expected synergies to be achieved and anticipated impact on non-GAAP earnings; the belief that the combined company will have enhanced capabilities, larger scale and improved cost competitiveness and that these will better position it for the market opportunity ahead; and the anticipated timing for completion of the merger. Such statements are subject to risks and uncertainties that include, but are not limited to: (i) Cloudera or Hortonworks may be unable to obtain stockholder approval as required for the merger; (ii) other conditions to the closing of the merger may not be satisfied; (iii) the merger may involve unexpected costs, liabilities or delays; (iv) the effect of the announcement of the merger on the ability of Cloudera or Hortonworks to retain and hire key personnel and maintain relationships with customers, suppliers and others with whom Cloudera or Hortonworks does business, or on Cloudera’s or Hortonworks’ operating results and business generally; (v) Cloudera’s or Hortonworks’ respective businesses may suffer as a result of uncertainty surrounding the merger and disruption of management’s attention due to the merger; (vi) the outcome of any legal proceedings related to the merger; (vii) Cloudera or Hortonworks may be adversely affected by other economic, business, and/or competitive factors; (viii) the occurrence of any event, change or other circumstances that could give rise to the termination of the merger agreement; (ix) risks that the merger disrupts current plans and operations and the potential difficulties in employee retention as a result of the merger; (x) the risk that Cloudera or Hortonworks may be unable to obtain governmental and regulatory approvals required for the transaction, or that required governmental and regulatory approvals may delay the transaction or result in the imposition of conditions that could reduce the anticipated benefits from the proposed transaction or cause the parties to abandon the proposed transaction; and (xi) other risks to consummation of the merger, including the risk that the merger will not be consummated within the expected time period or at all. Additional factors that may affect the future results of Cloudera and Hortonworks are set forth in their respective filings with the Securities and Exchange Commission (SEC), including each of Cloudera’s and Hortonworks’ most recently filed Annual Report on Form 10-K, subsequent Quarterly Reports on Form 10-Q, Current Reports on Form 8-K and other filings with the SEC, which are available on the SEC’s website at www.sec.gov. See in particular Item 1A of Part II of Cloudera’s Quarterly Report on Form 10-Q for the quarter ended July 31, 2018 under the heading “Risk Factors” and Item 1A of Part II of Hortonworks’ Quarterly Report on Form 10-Q for the quarter ended June 30, 2018 under the heading “Risk Factors.” The risks and uncertainties described above and in Cloudera’s most recent Quarterly Report on Form 10-Q and Hortonworks’ most recent Quarterly Report on Form 10-Q are not exclusive and further information concerning Cloudera and Hortonworks and their respective businesses, including factors that potentially could materially affect its business, financial condition or operating results, may emerge from time to time. Readers are urged to consider these factors carefully in evaluating these forward-looking statements. 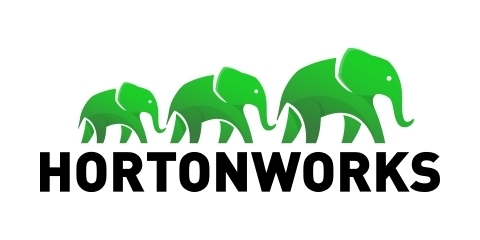 Readers should also carefully review the risk factors described in other documents that Cloudera and Hortonworks file from time to time with the SEC. The forward-looking statements in this press release speak only as of the date of this press release. Except as required by law, Cloudera and Hortonworks assume no obligation to update or revise these forward-looking statements for any reason, even if new information becomes available in the future.